News from LMCU: It's a great time to buy a home! It's a great time to buy a home! Rates are near historic lows and our experienced loan officers will work with you to find the right mortgage program to fit your needs. Visit a branch, call (616 or 800) 242-9790 or go online at lmcu.org today to find out more about our mortgage programs or to find a loan officer in your area. *APR = Annual Percentage Rate. APR based on a $150,000 loan with 360 payments of $705.36. Actual payments will be higher if an escrow account for property taxes and insurance is required or requested. 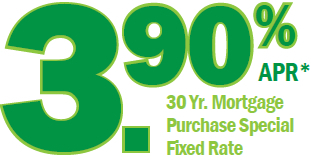 Your rate may vary based on your specific credit terms and property analysis. Rates as of 4/23/2012 and are subject to change.